As a new owner of an advisory board company and corporate executive board in the early 1990s, Bradley was wondering how he could incorporate the new enthusiasm and pace of investment from the Dot Com frenzy into his research business. Aneesh suggested that Bradley attend an event sponsored by the Indian CEO Council (now a chapter of Indus Entrepreneurs in Washington, D.C.). 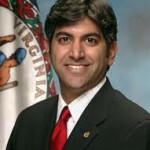 Members of the Indian CEO Council are some of the top technology innovators in the Northern Virginia area. Bradley wanted to use the information he learned from these executives of consequence to further expand his company, first by placing Aneesh on his Advisory Board. 2006. And, without that opportunity he would not have been given the opportunity to be Federal CTO.